This looks to be a good example of this type of boat - upon approach, she seems clean and tidy and is very easy on the eye. Once on board, you immediately notice the deep, safe and protected cockpit and you have a choice of accommodation - forward, main or aft, all with better than expected headroom. 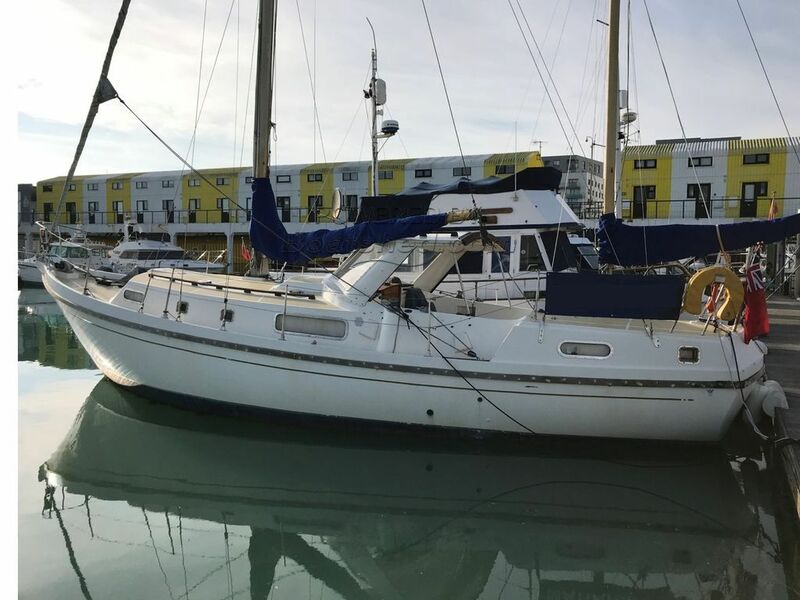 The after cabin is much larger than most boats of this type and is more than the usual cupboard-sized compartment, offering two genuine berths, plus stowage. The forward accommodation offers two full single or a double berth conversion with masses of stowage and locker space - this boat could easily suit larger crews and take them on longer cruises. She seems well loved and offers lots of potential - her electrics need a good check over, due to niggling problems, which may well be something simple. Nevertheless, a good check is recommended. The main saloon offers a large seating and dining area that converts easily into a double berth, along with a full size quarter berth, chart table and galley area. This Macwester Seaforth has been personally photographed and viewed by Tim Kingston of Boatshed Brighton. Click here for contact details.